Cotton Blended Fabric offered has multiple end uses. Being of breathable fabric quality, these make for an excellent fabric that is suitable for making of sheets, blankets as well as other home fabrics. With pure cotton prone to wrinkling and shrinking, here polyester is added for making cotton blend that makes the final finished fabric wrinkle-free. 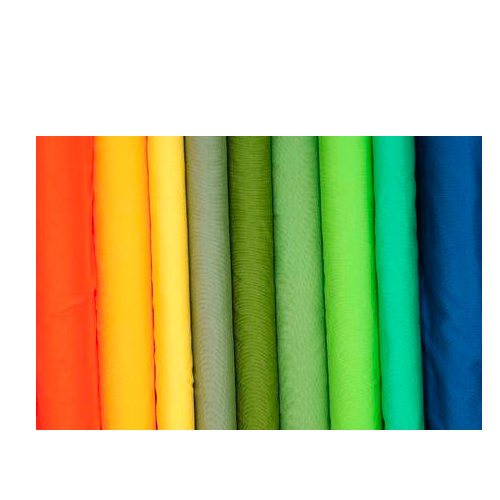 With our expertise to supply qualitative range of polyester cotton blended canvas, these cotton blended canvases can be made available to customers in different patterns, shades, weaves as well as different finishes so as to meet the specific cotton blended fabric demands of the customers. Established in 1960, we, Daisy Trading Corporation is a BIS licensed (IS 2089, IS 6803) and ISO 9001:2008 certified company, involved in manufacturing and exporting a wide assortment of Water Proof Canvas, Tents, Tarpaulins and Canvas Covers. These products are designed and developed keeping in mind the requirement of our clients in accordance with latest market trends. Manufactured using premium quality materials, our product range is available in different standard as well as custom shapes, sizes and specifications. The production process is monitored at every stage to make sure the availability of best possible products to our clients. Providing true value of money to the client, the products are checked before the final delivery.